The Ottawa and Madawaska rivers are key geographic features and are great for rafting and on the calmer tributaries, you can endlessly canoe or kayak. Fishing plus other outdoor sports are a huge draw. There's a huge history in The Ottawa Valley. The Bonnechere Caves gives you a look at pre-hostry and Champlain Trail Museum shows the pioneering past. Military history can be explored at CFB Petawawa with its Airborne Forces Museum. 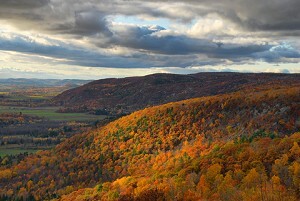 Ottawa Valley accommodations include hotels, motels, resorts, bed and breakfasts and campgrounds. Our Arnprior hotel is near the Arnprior & District Museum within easy reach of recreational activities, dining and shopping. Start your day with free continental breakfast and stay connected with our free WiFi. Enjoy amenities like free large-vehicle parking and enjoy in-room amenities like 36-inch flat-screen TVs, mini-refrigerators, microwaves, and coffee makers. Located in Arnprior, this motel features free Wi-Fi. A microwave and refrigerator are included in each room. They are equipped with cable TV and free local calling. This pet-friendly motel serves a continental breakfast every morning. Free parking with cold weather plug-ins is available. We are near the Arnprior & District Museum, Ottawa River Waterway system and Arnprior Golf Club. Minutes away, guests of this Arnprior hotel can take the family to Storyland Family Fun Park or visit the Diefenbunker, a unique Cold War museum buried in a hillside. This Arnprior motel offers barbecue facilities, a picnic area and playground and provides free Wi-Fi in every room. The rooms include a microwave, fridge and coffee-making facilities. They also have cable TV and a seating area. The reception offers guests fax and copying services and free daily newspapers. This Bed and Breakfast is situated in Pembroke and features a garden. Boasting spa service, event area and tea room for guests and a terrace. Both free WiFi and private parking are accessible. Guest rooms have a private bathroom. A Full English/Irish or American breakfast is available daily. We are located near Algonquin College and the Ottawa River Waterway. This Pembroke hotel is minutes from Algonquin Provincial Park, Logos Land entertainment park and Bonnechere Caves. This hotel in Pembroke offers comfortable accommodations in a 100% smoke free environment. Enjoy our complimentary hot breakfast each morning, swim in the indoor heated pool and work out in our fitness center. Stay connected with our free Wi-Fi and wired internet access in all guest rooms and in all public areas. Our Pembroke hotel is just minutes from Algonquin College and many area tourist attractions, like the Champlain Trail Museum, the Pembroke Memorial Centre arena and the Pembroke Heritage Murals, a collection of large-scale paintings drawn on a number of downtown buildings. This Hotel in Pembroke has meeting rooms which can accommodate large groups of people for banquets and conferences. Free WiFi, exercise room with sauna. Indoor heated pool and guest laundry. Amenities include pillow-top mattress, refrigerator, flat-screen TV, desk, iron and hair dryer. Located in downtown Pembroke, Ontario, Hillside Inn is a 5-minute walk from the shores of the Ottawa River. It offers air-conditioned rooms with refrigerators, microwaves, and free Wi-Fi and cable TV. This pet-friendly motel features free coffee and tea in the lobby. Free parking and winter plug-ins are located in front of the rooms. Algonquin College is 1 km away. This Pembroke hotel offers free coffee and tea in the lobby. Park your car for free during your stay, or arrange large vehicle parking for a nominal fee. Each guest room features free WiFi, a desk, mini-refrigerator, microwave, and a flat-screen HDTV with cable. Suites with a fireplace, and kitchenettes are also available, and pet-friendly. Our Pembroke hotel is located at the intersection of Trans Canada Hwy 17 and Highway 41. There are 88 Rooms and Suites, 8,000 square feet of flexible meeting space, newly remodeled lobby and lounge area, a 6,000 square foot Fitness Centre, restaurant and cocktail lounge, indoor heated salt water swimming pool and hot tub, individual men’s and women’s saunas and more. High speed wireless Internet available in all of our facilities. The heart of this Calabogie resort is an expanse of sandy beach. For fishing or boating, our docking facilities will safely accommodate your watercraft. Fishing boats are available on a rental basis. For leisure, enjoy a complimentary rowboat, canoe, kayak or SUP. This is a modern, comfortable hotel in Calabogie. One hour from Ottawa. We have a queen suite, single queen and double rooms. Easy access to local activities. Our spacious Highlands Suites are on the golf course, minutes away from the ski hill, ATV and snowmobile trails. We are open year round for seasonal sports, area recreation activities, fall colour sightseeing and more. Our tastefully appointed suites provide an opportunity to escape from today's busy lifestyle to the casual serenity of a quaint, lakeside setting. This Carleton Place Inn has fully equipped kitchens, separate areas for living and sleeping, free Wi-Fi access, satellite TV, private full bath, private entrance and outdoor barbecue. This Carleton Place motel has free Wi-Fi access in every guest room. It is a 20-minute drive from the Mississippi Lake National Wildlife Area. A DVD player, refrigerator, and coffee maker are included in each room. They also have a seating area and are furnished with a work desk. The entire inn is air conditioned and smoke free. This Carleton Place motel features rooms with free Wi-Fi and flat-screen TVs. Microwaves and refrigerators are standard in all rooms. The rooms also feature unique décor and seating areas with work desks. Guests can dine at the on-site restaurant. This resort on Golden Lake features air-conditioned rooms and free private parking. Certain units have a private bathroom with a spa tub, and others have bathrobes and slippers. Certain rooms feature views of the lake or garden. A TV is provided. Free use of bicycles is available at this bed and breakfast and the area is popular for biking. Our Renfrew Ontario bed and breakfasts lets you wake up to a home cooked breakfast sizzling in the kitchen, a 3 Course Canadian Breakfast, for those who prefer a lighter fare a continental breakfast is available, to give you a great start to your day. At the end of your day relax in the comfort of the lounge, read a good book, or watch a movie. We are a five minute walk from downtown. Guest rooms at this hotel in Renfrew are equipped with free WiFi, a flat-screen TV, ironing facilities, desk, as well as coffee and tea facilities. Stay active throughout your visit at our fitness center and outdoor pool, and get productive in our onsite business center. We are located in Renfrew to take advantage of local attractions such as whitewater rafting, scenic golf courses, snowmobiling and skiing. Other favorite Ottawa Valley attractions are the Bonnechere Caves and Story Land Park.